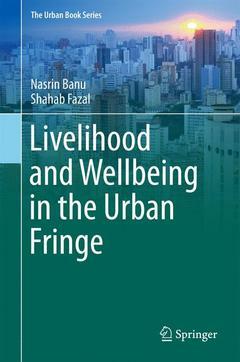 This book presents a detailed study on Aligarh?s urban fringe, focusing on the livelihood of the villagers who have lived there for generations, and on that of the migrants residing in the villages. As a Class-I city, located in the most populated state (Uttar Pradesh) of India, Aligarh has gained in importance due to its proximity to the national capital (New Delhi) and Uttar Pradesh?s industrial cities (Kanpur and Ghaziabad). The 2011 census showed that of the total population of the district, 33.1 per cent was urban (872,575 residents). Projections by the Town and Country Planning Department suggest that the city will have some 1.2 million inhabitants and there will be a need for another 64,000 houses. Thus, the city will expand extensively into its urban fringe, which is expected to entail large-scale transformations. The expansion of the city will significantly influence nearby villages in terms of land use and population, both physically and socio-economically.